When Cass Gilbert put foot to pedal 15 years ago, he couldn’t have imagined how many miles the ride would turn into. Cass Gilbert has cycling wanderlust, and he deals with it in big, big ways. Gilbert partly funds his trips by writing for bicycle magazines, and he’s contributed to Cycling Plus, What Mountain Bike, Singletrack, Mountain Flyer, Adventure Cycling, Boneshaker, Cycle and wired.co.uk. His website, While Out Riding, features a travel blog, gear reviews, packlists, Q&As, a gallery, route notes and wholesome recipes for hungry cyclists. And as one of Surly’s only sponsored riders, Gilbert brings a wealth of real-world product testing to our offices here in Minnesota, too. For a lot of people, the idea of living the life that Gilbert does seems impossible. But every large journey is comprised of many small parts, and with the right mindset and the right gear, you can easily squeeze small-part journeys into your regular cycling regimen. Step one is deciding to go. Welcome Cass! Thanks for taking the time to share some of your wisdom. Where are you right now? I’m currently in Patagonia, having recently completed the Carretera Austral, a 1,200 kilometer dirt road flanked by lakes, glaciers and mountains that winds its way through southern Chile. Last night, I slept in an abandoned roadside hotel with three other cyclists. This morning, we awoke before sunrise to beat the ferocious winds. Tonight, I’ll be sampling a $12 all-you-can-eat Argentinian grill. My plan is to continue riding south, all the way to the most southerly point on the continent, Ushuaia, Argentina, following dirt roads where I can. En route, I hope to stop and hike in the Torres del Paine National Park, and see if there’s any bikepacking potential in the region. How did you get started in this lifestyle? After leaving high school, a two-week bike tour across France fueled a desire to travel on two wheels. I loved both the sense of self-sufficiency and the physical challenge of bike touring—I’d never slept so well, or looked forward so much to the next day. It wasn’t until sometime later though, in 1998, that I hatched a plan to travel further afield. My hope was to ride from Sydney, Australia, back to my home city of London via Asia, the Middle East and Europe. Although I had no formal writing experience, I also approached a UK bike magazine in the hope they’d be interested in a diary from the road. I’d no idea that these two incredible years would change my life. I haven’t stopped pedaling since then, whether it’s been overnight escapes with friends, commuting around the city, setting up my own guiding business in the Indian Himalaya, or traveling the length of the Americas. If you had to try and summarize your experiences so far…? Cycling has offered a far deeper insight into countries I’ve visited than might otherwise be possible. 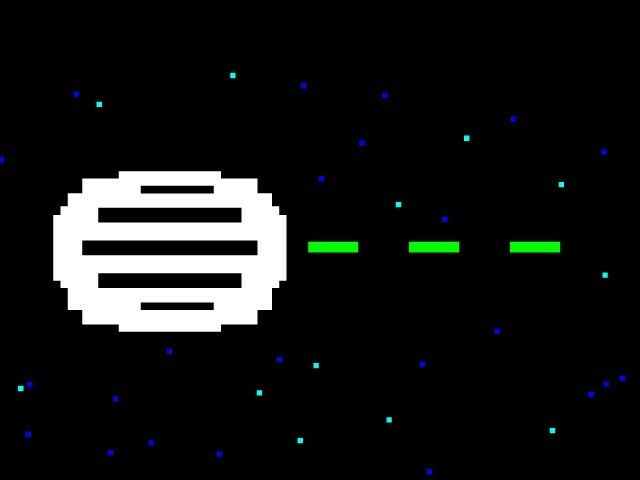 So many people along the way have reached out and wanted to connect. Despite the way the world is so often portrayed by mass media, from my experience, it’s inherently an extremely welcoming place. I’ve also spent a good deal of time in New Mexico; bikepacking has introduced me to a community of riders there. We head out for the weekend and camp whenever we get the chance, riding all day and sleeping under the stars. In fact, bike travel has made me friends the world over. I’ve mountain biked with riders in China, Cambodia and Colombia, our love of singletrack transcending cultural or linguistic differences. I try and share my enthusiasm for bike touring—backcountry exploration especially—in my blog, as well as sharing what I’ve learned along the way. How far do you have to go to from home to experience “real” bikepacking or touring? Although I love to travel to far-flung destinations, I’m a firm advocate that some of the best adventures can be enjoyed from your own front door, or at least just a train or bus ride away. Exploring your local surroundings is also a wonderful way to feel more in touch with where you live, and become more familiar with the very fabric and texture of the land. Bike touring has also taught me patience—literally, to slow down. There’s nothing like an overnight bikepack to help process what’s going on in your life, away from distractions. I tend to think clearest when I’m out on my bike for a few days. Paring down to the point where each item you carry has purpose is also a very liberating experience. Similarly, I believe that finding comfort outside of your comfort zone is a good thing. It can be a means of getting to get to know yourself better. If you journey alone—which I’d definitely recommend at some point—it can be a way of becoming more settled with who you are. Bike touring is also a good reminder that change is the only real known in this life. Whether it’s a headwind, a long climb, a storm ... everything changes. Enjoy it for what it is. Tell us a bit about your setups past and present. What’s some of your favorite gear? 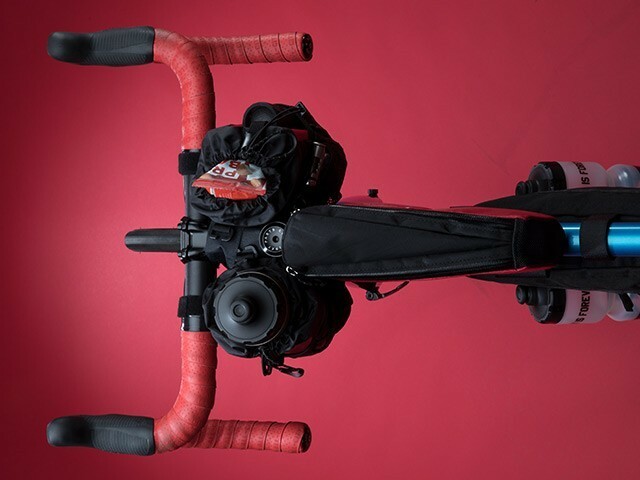 Over the years, I’ve whittled down my gear from four overstuffed panniers to a more streamlined, bikepacking-style setup, using a frame bag to spread weight more evenly across the bike. This kind of slimline setup makes pushing and carrying the bike more manageable. Racks and panniers still have their place, but if challenging singletrack is what you enjoy riding, there are better ways of doing it. Lightening up my setup has revealed a world of trails and rugged dirt roads that might otherwise go unridden. A friend of mine once said: Carrying less isn’t limiting. It opens possibilities. I’ve ridden a lot of great bikes over the years, and for one reason or the other, all have been steel frames. The bike I rode back from Australia to London, a Specialized Rockhopper from the late ’90s, is now contentedly retired from world travel, living on as a cargo bike, in the guise of an Xtracycle. But I have to say, I have a particular liking for all things Surly. I love their attitude and I admire their honest, no-nonsense approach to bike building. Right now, I’m riding a Pugsley, and I’m excited about the places it will be able to take me. Like many others, I find myself hankering for ever-fatter tires. In terms of a sweet spot, 29 x 2.4" Maxxis Ardents are a great choice—aggressive yet relatively fast rolling, and they seem to last forever. I’ve had a chance to experiment with the 29+ platform, which I think lends itself perfectly to bikepacking in terms of comfort, grip and simplicity. Although I prefer to ride a rigid bike, I embrace modern technology when I travel. For longer trips, the likes of a dynamo hub and a USB charger is the way to keep iPhones and other gadgets juiced up. I love my music around camp, so I also have a Boombotix Rex speaker, also dynamo-powered. What are the essentials to get started bikepacking, in terms of product and knowledge? I think a seat pack makes an excellent first investment, followed closely by a handlebar bag system, both of which can be moved easily from one bike to another. Couple them with a light backpack—which I personally try and avoid on longer trips—and you already have multi-day rides in your scope. A framepack is a worthy investment once you’ve settled on a frame you want to use, whether it’s a custom-made bag tailored to your exact requirements, something you’ve sewn yourself, or one of Revelate’s models. Tweaks like adding water bottles to forks with simple hose clamps are easy and cheap to make, too. As for knowledge, I’d point to great resources like bikepacking.net, which is packed with established routes, ride descriptions and gpx files to go with them, with differing technical levels and lengths. Topofusion is the bikepacking yardstick in terms of GPS mapping software, and Google Earth is a game-changer for discovering new routes. If you use a smartphone, the Gaia app is recommended for navigation, though I still like to carry the likes of a national forest map, and my Benchmark state atlas is well thumbed too. Bikepacking lends itself to great storytelling and image-taking, so there are plenty of excellent blogs out there: gypsybytrade.wordpress.com and velodirt.com are excellent resources. Bunyan Velo is an online publication specializing in two wheeled travel and is never short on inspiration. What suggestions would you give to a shop that wants to start promoting bikepacking? How do the staff become experts? Go out and do it. Load up your bike and spend a night under a tarp. There’s nothing like experience to understand the gear choices people are considering. S24Os (sub 24-hour overnighters) are easy, accessible and incredibly fulfilling, as well as being a great way to test gear. One of the great aspects of this new wave of bikepacking gear is that it works on most bikes, irrespective of whether it’s designed for touring or not. As a source of inspiration to potential bikepackers, a mountain bike on display—clad in full bikepacking gear—would be a great way to get people thinking and dreaming. What does the future hold for you? Any big trips in the works? For sure, riding snowmobile tracks is high on the list, now that I’m a proud fat bike owner! 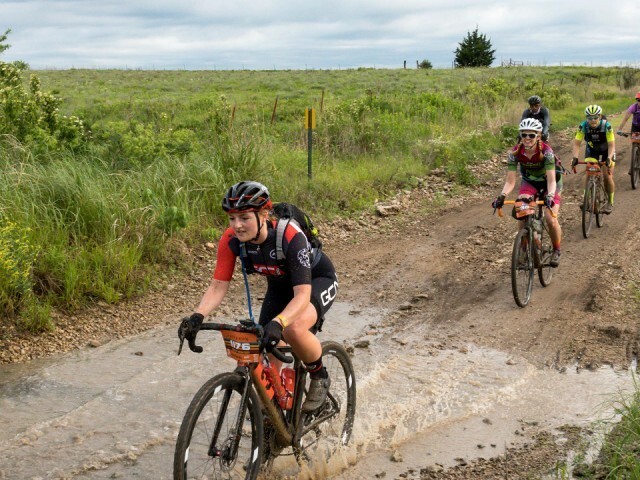 There are several new bikepacking routes in the States I’d love to explore, like Adventure Cycling’s Idaho Hot Springs Mountain Bike Route, the 360-mile Oregon Outback, and the California Sierra Trail Race. Thanks for your time Cass! Best of luck and safe travels! In the past, the true capabilities of fat bikes got buried in sand and snow when it came to marketing. We think the modern fat bike deserves another look. 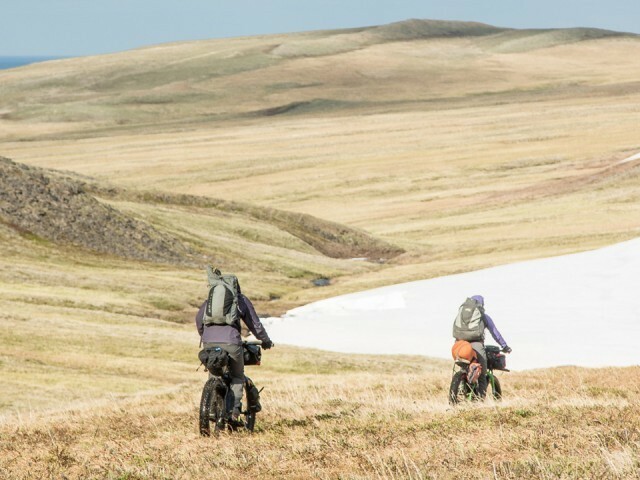 For shorter riders on smaller sized bikes, carrying cargo for commuting, touring, or bikepacking can present challenges in regard to where it can all fit. We’ve compiled a list of products that can remedy some of these issues. 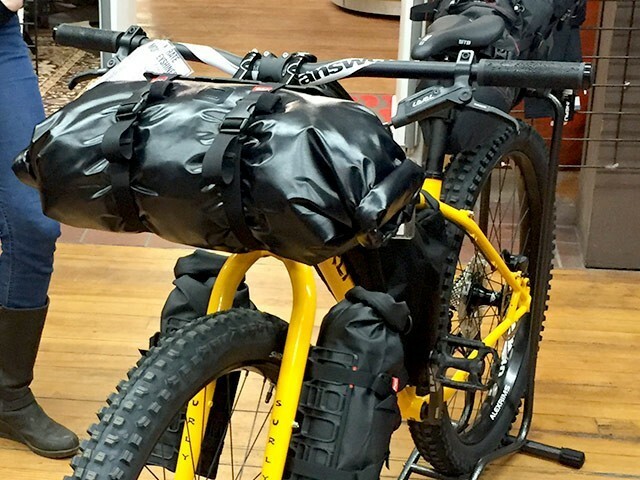 As bikepacking becomes increasingly popular with all kinds of riders, it’s an obvious category for bike shops to pick up on.